If there was something you could do to effectively slow down the aging process, dramatically lower the risk of disease and dementia as you age, maintain a more youthful appearance at no cost, and sustain the body fat, cholesterol levels, and immune system of a young person, would you do it? And yet, most people don’t. We’re talking, of course, about exercising and staying active and fit. The latest evidence of the anti-aging benefits of regular physical activity comes from a study published this month in the journal Aging Cell. British researchers tested 125 male and female healthy amateur cyclists, aged 55 to 79, who had been cycling for nearly all of their adult lives. The cyclists provided blood samples and muscle biopsy samples, which were then compared to a group of healthy adults who did not take part in regular physical activity. This group consisted of 55 young adults aged 20 to 36 and 75 older adults aged 57 to 80. Results showed that a loss of muscle mass and strength, which is often believed to be normal part of the aging process, did not occur in the cyclists. Think about that: the loss of muscle mass and strength that’s considered a normal part of aging did not happen to older people who continued to be physically active. Their body fat and cholesterol levels also had not increased with age. Plus, the men’s testosterone levels had remained high, rather than declined with age. Even more surprising to the researchers, they found that exercise also appeared to have an anti-aging effect on the immune systems of the cyclists, as well as their muscles. An organ called the thymus, which makes immune cells called T cells, starts to shrink from the age of 20 and makes less T cells; however the team found that in this study, the cyclists’ thymuses were making as many T cells as those of a young person. Women with high physical fitness at middle age were nearly 90 per cent less likely to develop dementia decades later, compared to women who were moderately fit, according to a Swedish study published online this month in the journal of the American Academy of Neurology. The study measured the women’s cardiovascular fitness based on an exercise test. “These findings are exciting because it’s possible that improving people’s cardiovascular fitness in middle age could delay or even prevent them from developing dementia,” said study author Helena Hörder of the University of Gothenburg. Best of all, you don’t need a bicycle or a gym or even an exercise routine to stave off dementia. Another recent study shows that dancing can reverse the signs of aging in the brain. Research published in the journal Frontiers in Human Neuroscience, shows that older people who routinely partake in physical exercise can reverse the signs of aging in the brain, and that dancing has the most profound effect. Volunteers with an average age of 68, were recruited to the study and assigned either an eighteen-month weekly course of learning dance routines, or endurance and flexibility training. Both groups showed an increase in the hippocampus region of the brain, the area prone to age-related decline and affected by diseases like Alzheimer’s. It plays a key role in memory and learning, as well as keeping one’s balance. 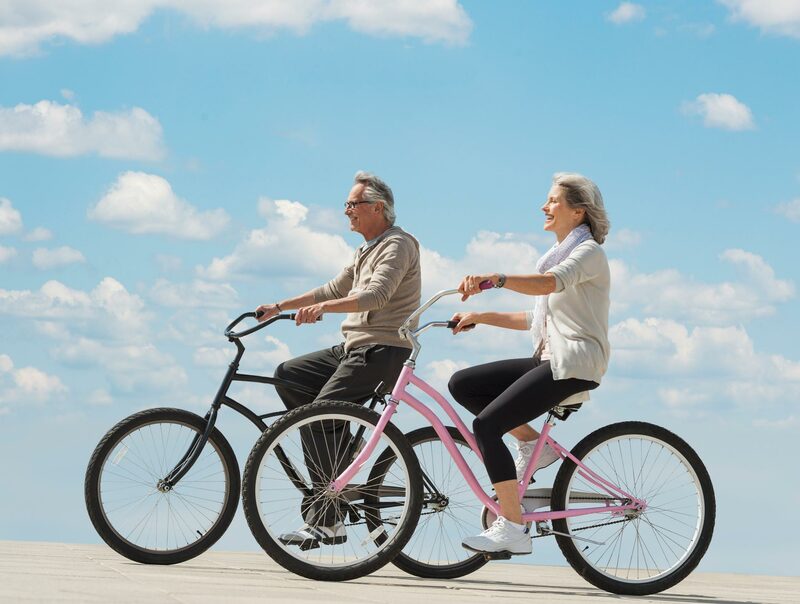 “Everybody would like to live an independent and healthy life, for as long as possible,” said Dr. Rehfeld, “and physical activity is one of the lifestyle factors that can contribute to this, counteracting several risk factors and slowing down age-related decline,”.